History can often be hauntingly familiar, even across the 2500 year divide that separates classical Athens from America in the second half of the twentieth century. A case in point is the catastrophic Peloponnesian War (431-404) between the Athenian Empire and the Spartan controlled Peloponnesian League, a conflict that to a great extent ruined the Greek world. The Athenian Empire was naval based, taking in virtually all the island and coastal city-states of the Aegean, and constituted a wealthy trading block. Though progressive and inclined to support democratic governments, Athens nevertheless maintained tight control over her “allies,” taxing them to pay for her powerful fleet (and the beautiful buildings upon the Acropolis). Encompassing most of the rest of the Greek states, the so-called Peloponnesian League was land based and included most of the Peloponnesus and central Greece. It was dominated, but not absolutely controlled by Sparta, which supplied the semi-professional core of the huge army, some 35,000 heavy infantry, that the League could field. Sparta was the most reactionary state in Greece, and her small citizen body of perhaps 8000 was supported by an immense number of unfree serfs (helots). Semi-socialist and nominally democratic, Spartan society was essentially authoritarian, and she favored oligarchic governments. Athens began the war with immense advantages. Her control of the sea was virtually absolute, which meant that the enemy was going to have a hell of time just getting at her and her allies. The completion of the long walls linking the city with the port of Piraeus had turned Athens into a kind of artificial island, rendering her immune to the traditional strategy of laying waste the enemy’s territory and forcing them to come out and fight. Offensively, the navy provided the Athenians with a big edge in rapid troop deployment and threatened the Peloponnesians with surprise raids on their coastal areas. Athens also had unprecedented economic resources from her imperial income and her trade and went into the conflict with something unheard of in Greece: a financial reserve. And finally there was the open and democratic nature of Athenian society, which had already made her preeminent in human resources, out-producing other cities in leadership, talent and imagination. The Peloponnesians had but a single advantage over the Athenians – they were overwhelmingly powerful on land. In every other respect they were hurting. Any fleet they might scrape together would be dramatically outnumbered and out-rowed (the main pool of skilled rowers was within the Athenian empire), and the alliance was financially unprepared to launch and maintain many more ships. And under the leadership of the Spartans, who did not even use coined money, that financial picture was not likely to change in the near future. A further big disadvantage for the Peloponnesians: Spartan leadership. A system geared to the status quo and limited mental horizons only rarely produces leaders of more than plodding ability, and Sparta’s traditional insularity and policy-bending paranoia about the helots might also be expected to hamper the war effort. But blinding many to these serious weaknesses was the centuries old Spartan reputation as the alpha male of Greece, and there was widespread belief that ships and money and newfangled ideas would not save Athens from the juggernaut of the Spartan led Peloponnesian levy. 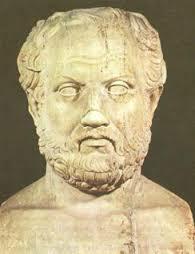 Pericles, the Athenian leader, knew better, and he intended to fight a new kind of war, one for which only Athens was in any way prepared – a war of attrition. He was concerned simply with the preservation of Athenian interests, not the utter defeat of Sparta, which meant that Athens could achieve her victory by remaining on the defensive. This he proposed to do by evacuating the population to the Athens-Piraeus fortress and temporarily abandoning Attica, the territory controlled by the city, whenever the Peloponnesians invaded. Supplied from the sea, Athens could theoretically hold out indefinitely, while the fleet conducted raids on the enemy coasts to remind them of the price of war. Pericles figured that after a few years of spending their summers in Attica and accomplishing nothing most of the Peloponnesians would lose whatever little interest they had in the first place, and the war would fizzle to an end. Would the plan have worked? Probably. In the first several years of the war the Peloponnesian levy ravaged Attica and absolutely nothing happened. Meanwhile, the Athenian fleet conducted hit and run operations against the coastal towns of the Peloponnesus, and it is hard to see how Sparta could sustain interest, especially among her already unenthusiastic allies, in a war that was making no real headway and bringing Athenian raids down on their territory. Athens had even survived the devastating “plague” of 430 (probably epidemic typhus or cholera), which had carried off as much as a quarter of the city’s population. But we will never know, because in 429 Pericles died from the contagion, and without his restraining hand Athens’ strength, her democracy, gradually became her downfall. The cautious defensive strategy steadily evolved into an offensive one, and the goal of the war became the defeat of Sparta and the expansion of the empire. This would have been dangerous enough, but the democracy itself began to undermine the war effort. The traditional political leadership had been provided by the annually elected board of ten “generals,” so called because they were the men who actually led Athenian forces if needed; Pericles had been reelected to the board for thirty years. The war now produced a new kind of politician, the demagogues, men of mostly limited abilities who wielded power not by holding office but by manipulating the citizen assembly, which in the unlimited democracy of Athens was the ultimate seat of power and could not be challenged. They rode to power on their rhetorical abilities and by advocating a war of conquest. This led to a growing number of bad decisions and ill-considered strategies and created threatening divisions in Athenian society, as the increasingly radical democracy struggled to manage a people becoming intoxicated with their own power. The first phase of the conflict, from 431 to 421, saw a steady departure from Pericles’ defensive strategy after his death. In 425 the Athenians almost accidentally captured a unit of Spartans, which lead to peace overtures from Sparta, but the Athenians went on a roll and launched a land campaign in central Greece, a complete reversal of Pericles’ policy. It was a disastrous failure and was followed by the loss of Amphipolis, an utterly vital city on the north Aegean shore. Athens was ready for peace. The Peace of Nicias, signed in 421, had about as much chance of success as the Munich agreement of AD 1938, and in 418 an Athenian supported coalition in the Peloponnesus was defeated by Sparta. Meanwhile, a war-weary Athens was becoming more and more divided. The older generation in particular was getting fed up, while the younger was increasingly enthusiastic for more military adventures. The hawks got the upper hand, and in 415 a huge force was sent to Sicily to attack Syracuse and seize the entire island, an act of incredible imperial hubris. Primarily because of divided leadership, a result of the political situation at home, the expedition failed, and in 413 it and a large relief force were essentially annihilated. The Spartans decided to reopen the war and invaded Attica that same year, beginning the second phase of the war, from 413 to 404. All hell broke loose for Athens. In 412 her allies began revolting in droves, and even worse, Sparta signed an alliance with the Persia Empire, which meant money for a Peloponnesian fleet, which meant in turn a spread of the revolt and a threat to the security of Athens itself. Back home extremist conservatives launched a coup in 411, setting up a narrow oligarchy of 400 and driving the Athenians to the brink of a civil war. Athens was now at war with virtually everyone in the Greek world, including herself, but the people were not about to give in. 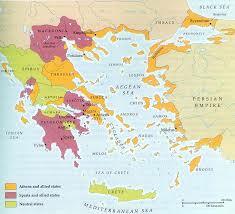 The democracy was restored in 410, and by 407 the Athenian position in the Aegean had been almost fully restored. But the Athenians seemed bent on self-destruction, and in the next several years they turned down several peace offers from Sparta. In 405 they lost their last fleet and were forced to surrender in 404, losing all their possessions, their walls and even their democratic government. The Athenian democracy had failed. Despite an immense superiority in resources and talent Athens had found herself unable to put an end to the war and after twenty-seven years of struggle had lost everything. How could this happen? For Thucydides, the Athenian historian of the war, the answer is clear. The way of life fostered by the democracy was a source of powerful forces, but it took a capable leader to control and direct these forces, to restrain the people and channel their energies towards realistic ends. Pericles was of course this kind of leader, able and patriotic, and Athens’ misfortune was that after his death the democracy found no one who combined these two qualities. The prosecution of the war, the foreign policy of the state became more and more a reflection of internal politics, as Athens became the prey of the demagogues. Time and again the Athenians passed up opportunities to end the conflict as winners in order to try instead for a vastly greater victory. And time and again these attempts to grasp more were ruined not by the strength of the enemy, but by the Athenians themselves, as the political feuding created dangerous cracks in the democracy. This domestic disunity was bad enough, leading ultimately to oligarchic revolution, but the cracks also showed themselves in the conduct of the war, in divided leadership of campaigns, inadequate support of expeditions and sudden reversals of policy. I am inclined to agree with Thucydides. Athens in the second half of the fifth century was simply under too much stress and faced with too many temptations to survive without the restraining hand of a leader like Pericles. And it was clearly a question only of guidance, for the democracy – the common people who voted every important policy decision – constantly showed itself to be perhaps the most aware and able body politic in history. It was after all Athens that lost the war, not Sparta that won it. Their own worst enemy, the Athenians bounced back again and again after each new disaster, revealing the nature of the human resources shaped by a democratic society. The Athenians and their experiences in the Peloponnesian War are a powerful testament to both the weaknesses and strengths of democratic government. While suffering the political difficulties, the Athenian democracy also underwent during the war a moral crisis, which was both cause and result of the political trials. This was the period when the radical sophists, extremist political thinkers, were attacking the democracy and its egalitarian notions. Instead of the people they would see as rulers those who were by nature suited to rule – the “superior men” – and in place of the democracy they would have a narrow oligarchy. Well, after the disasters of the latter part of the war people began to listen to these characters. Reasonable and moderate men were losing faith in the democracy and becoming more attentive to these characters at the other end of the political spectrum. Germany in the twenties and thirties saw a similar development, as moderate middle class Germans reacted to the perceived failures of the Weimar government and the threat from the left by paying greater heed to the far right. The ideas of these sophists on the nature of justice – that might made right – fit perfectly with the growing will to power and empire among the Athenians. As the war continued the means slowly became the end for the Athenian people, as demagogic factionalism and the temptations of power combined to drive them to extremes. Pericles’ simple defense of the empire was forgotten, and victory gradually became instead the grasping of more, the expansion of power and the total defeat of Sparta. 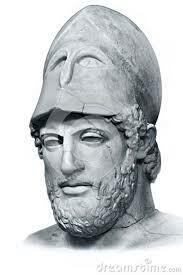 Rather than what they might bring, success and power themselves became the real goal of the Athenians. At the same time the continuation of the war produced among the Athenians a growing sense of frustration because of their seeming inability to bring it to an end. When they were losing, the quality and strength of their national character compelled them to fight their way back, and when they were winning, that same character seduced them into reaching for more. Athens had the power and the resources to carry on the war, even after a disaster like Sicily, but she could not stop it. And this frustration further aggravated the problem, driving the Athenian people to seek even more urgently that light at the end of the tunnel, that final victory that would solve all their problems. It might be fair to label the response of Athens to this frustration, her continued and amplified operations of war, as acts of collective hysteria. This is the tragedy of a people being destroyed by their own greatness. All of these things – the political turmoil, the frustrations, the national hysteria – were accompanied, perhaps inevitably, by a steady moral disintegration. As the war dragged on there was a growing loss of respect for authority and the moral traditions of the community, indications of a loss of faith in the society as a whole. The war certainly contributed to this moral breakdown, especially through the psychic conditions – the uncertainties, the alternating hopes and fears, the frustrations – it imposed on the Athenians, but the far more important cause was sophism. Part of the impact of sophistic skepticism was the general erosion of accepted tradition and its authority. If, as the sophists said, man-made law is all relative anyway, why necessarily accept that of your fathers? Their values and standards of behavior may not be pertinent to your situation, and perhaps you should look instead to your own definitions. This of course can be mighty dangerous for the social fabric. Finally, there is an aspect of the Athenian moral crisis that should be familiar to late twentieth century America – the development of something like a generation gap. Athenian society during the Peloponnesian War gave rise to what appears to be the first serious challenge of one generation by another in history. As with America in the sixties it was precisely the young, primarily young aristocrats, who were the focal point of the moral crisis in Athens, although their reaction was hardly one of protesting the war and using controlled substances. In fact it was generally the younger generation who were in favor of greater imperialist adventures. But Athenian youth of the period of the Peloponnesian War were like many young Americans of the Vietnam era in that the morality of their fathers, the inherited ethos of the society, was not necessarily valid for them. The extent of this challenge should not be exaggerated, being apparently essentially limited to aristocratic youth, but it did exist. A generation gap had never occurred before this for the simple reason that only now had the ascendancy of the state and the individual so undermined the strength of the family that the ties binding one generation to the next had been loosened. With the stage thus set by the general social development of the Greek state conditions particular to Athens then prompted the generational challenge. First of all there was the democracy, which itself involved a certain rejection of tradition. The egalitarianism that was fundamental to democratic society eroded the authority of parents, of the previous generation, by stressing the importance of the individual and the equality of all. As an eighteen year old Athenian male, you are a full political person, with a vote in the assembly equal to that of your father, and in the assembly you might even become more influential than he. So why should you then obey him when the two of you differ back at home? Political freedom is not conducive to the passive acceptance of traditional authority. Nor is an emphasis on reason, which only naturally tends to devalue authority based on tradition, and the growing respect for reason in fifth century Athens was causing many to question and sometimes reject traditional values. The focus of this was of course the sophists, whose rationalism was especially zeroed in on an attack on tradition. It was not just their hostility to tradition, but also the simple fact that they existed, breaking the monopoly parents had held in the education of the younger generation. It is hardly surprising that the Baby Boom generation that was the first to seriously challenge traditional American values was also the first to go to college in massive numbers. Reason and doubt are deadly to knowledge based only on faith and acceptance. The final factor contributing to this generational phenomenon was the social and political failure of the democracy during the war and the loss of faith in the established order that it incurred. We need only to look five decades into our own past to see the effect of such a failure on the young of society. This entry was posted in Athens, democracy, generation gap, Greece, history, Peloponnesian War, Pericles, sixties, sophists, Sparta, Thucydides, Vietnam, war. It’s what I do. Wow, Bangladesh. visit my website and leave some comment to my post.